If there was ever any evidence that poker is becoming even more popular than before it has to be the 2015 Horseshoe Council Bluffs $675 Main Event. The event had 426 entries, which created a prize pool of $251,340, which far surpassed the $100,000 guarantee. Not only that, but it also became the largest event during the tour; impressive feat for such a new tour. During the main event, the winner was supposed to get $57,806 and a $10,000 seat at the World Series of Poker Main Event. However, at the final table, the players decided to make things interesting. The final three players at the table agreed to split the money evenly, each getting $39,083, and simply battle it out for the WSOP seat. In the end, Henry Gingerich came out as the victor, winning him the much desired seat. 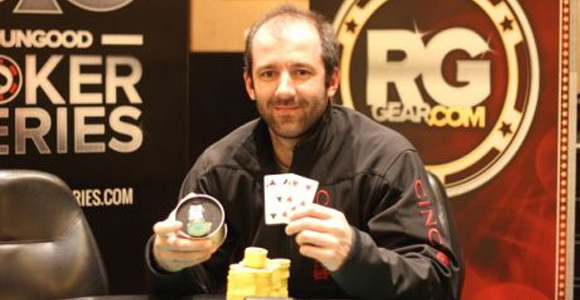 Gingerich won the final hand with a straight.